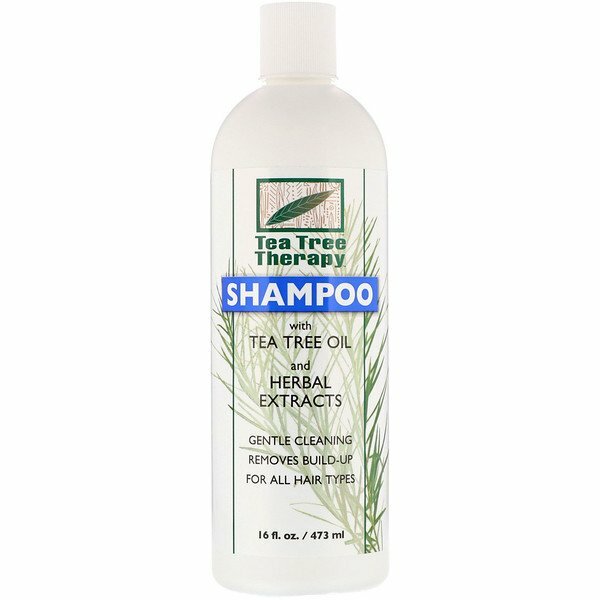 Tea Tree Oil with its natural antiseptic properties and natural herbal extracts, Arnica, Rosemary, and Sage, gently and completely remove build-up from hair and adds moisture to nourish, calm, and soothe dry flaking scalp. A pH of 5.5 matches the acid mantle of the scalp and allows the naturally derived cleansers to work at their best. Continued use will leave hair and scalp in natural condition. 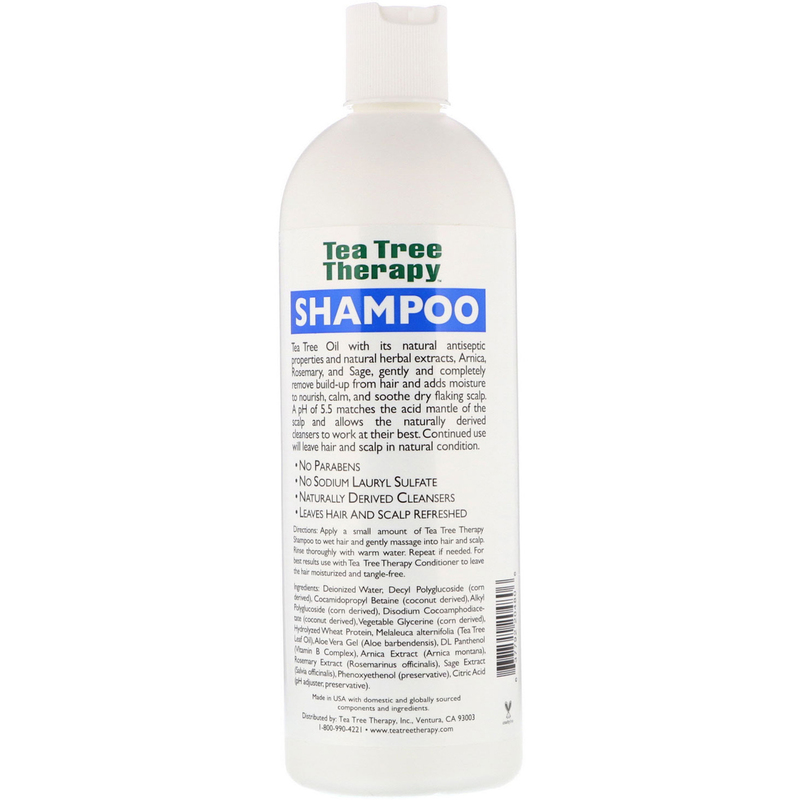 Apply a small amount of Tea Tree Therapy Shampoo to wet hair and gently massage into hair and scalp. Rinse thoroughly with warm water. Repeat if needed. For best results use with Tea Tree Therapy Conditioner to leave the hair moisturized and tangle-free. Deionized water, decyl polyglucoside (corn derived), cocamidopropyl betaine (coconut derived), alkyl polyglucoside (corn derived), disodium cocoamphodiacetate (coconut derived), vegetable glycerine (corn derived), hydrolyzed wheat protein, melaleuca alternifolia (tea tree leaf oil), aloe vera gel (aloe barbadensis), dl panthenol (vitamin B complex), arnica extract (arnica montana), rosemary extract (rosmarinus officinalis), sage extract (salvia officinalis), phenoxyethanol (preservative), citric acid (pH adjuster, preservative).